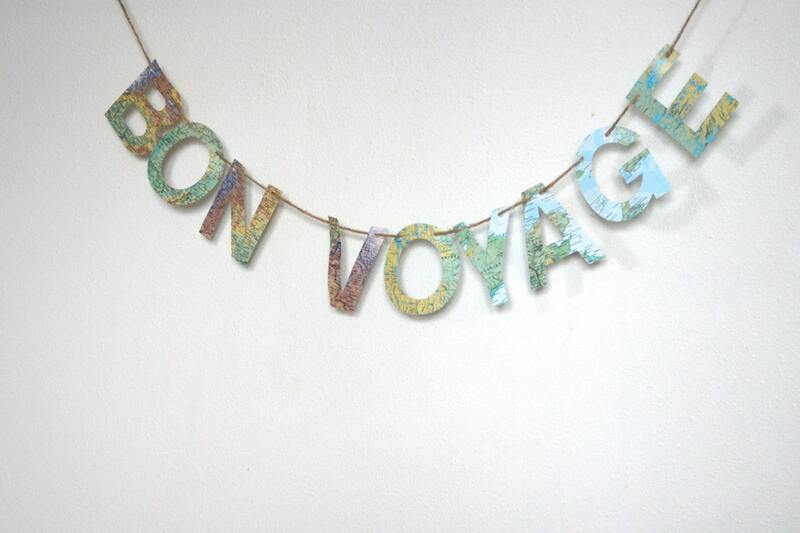 Wish your loved one a "pleasant journey" in style with this festive handmade banner! 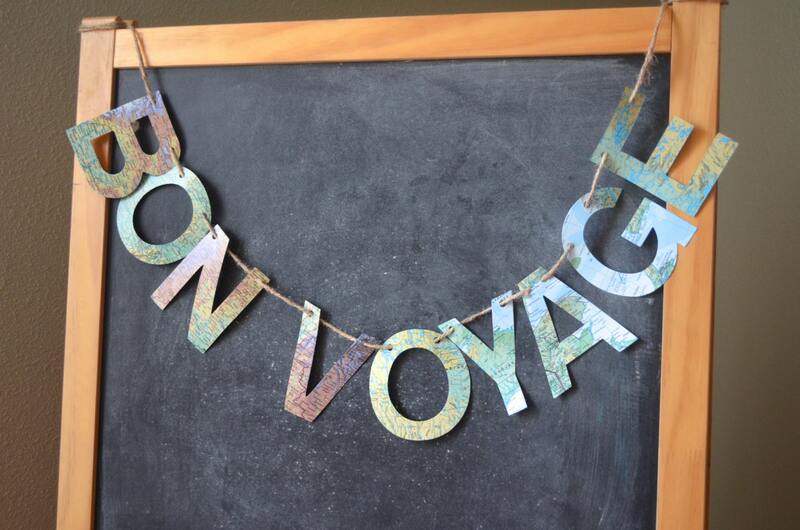 Choose from "Bon Voyage" or "We Will Miss You" or ask about a custom wording option. 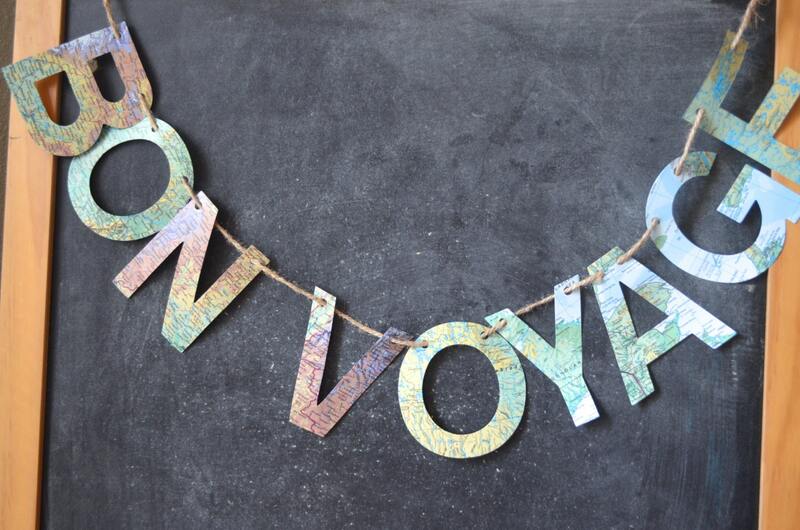 We make each garland from 4" tall letters that we cut from vintage map paper and then thread them onto a 10-foot length (for Bon Voyage) or 12-foot length (for We Will Miss You) of jute twine. Because of the differences in the vintage maps, no two banners are exactly alike, but each will closely resemble the one in these photos. OMG!!! Your wrapping, the quality, I am so impressed and can’t wait to come back to shop again! 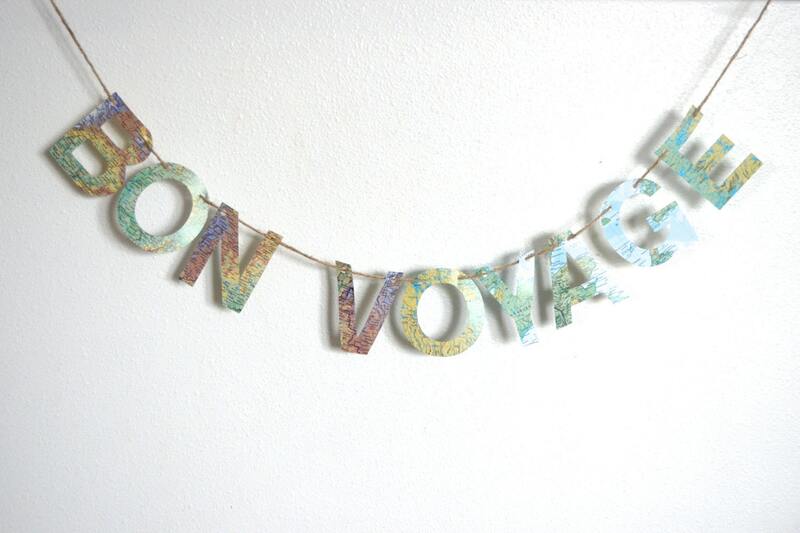 Love this sign so much! 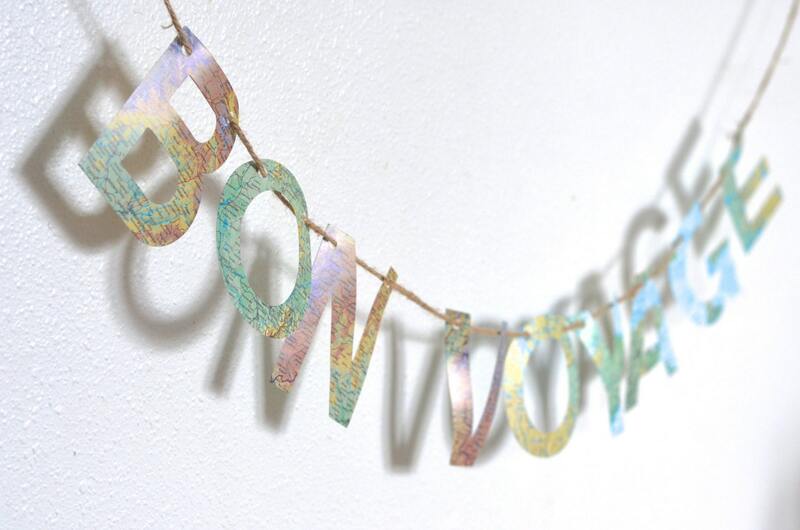 Adorable and perfect for our party. Quick shipping too!